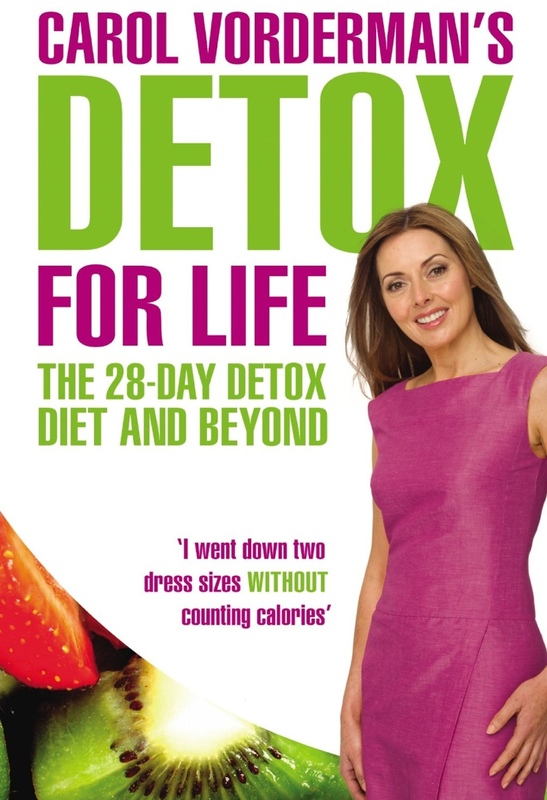 Carol Vorderman is leading the detox craze with the follow-up book to her popular video, 28 Day Detox Diet. She has teamed up once again with Ko Chohan, creator of the detox diet, to provide guidance to those wanting to lose weight, gain energy and feel better about themselves. If you are new to the detox diet, don’t fret: the book covers the same ground as the video, explaining what detoxing is, why we should do it and how to go about it. Unlike the video it then offers recipes for those stuck on what to do with pulses, vegetables, grains and not much else. Came off this after two days – the carrot and apple kick start had me wretching at breakfast on day one. Thought it would get better but by day two I was ill at the thought of what I was about to eat next. Have resigned myself to the fact that if I eat healthy enough with a little of what you can’t have now and again it’ll work for me – and it has! This detox thing certainly is not natural! Sorry Carol!